On Sunday September 29th Friends of Roxton Road Park participated in the first annual Park Crawl sponsored by the David Suzuki Foundation’s Homegrown National Park project. It was a beautiful day and 1,000 people signed up for this amazing event. 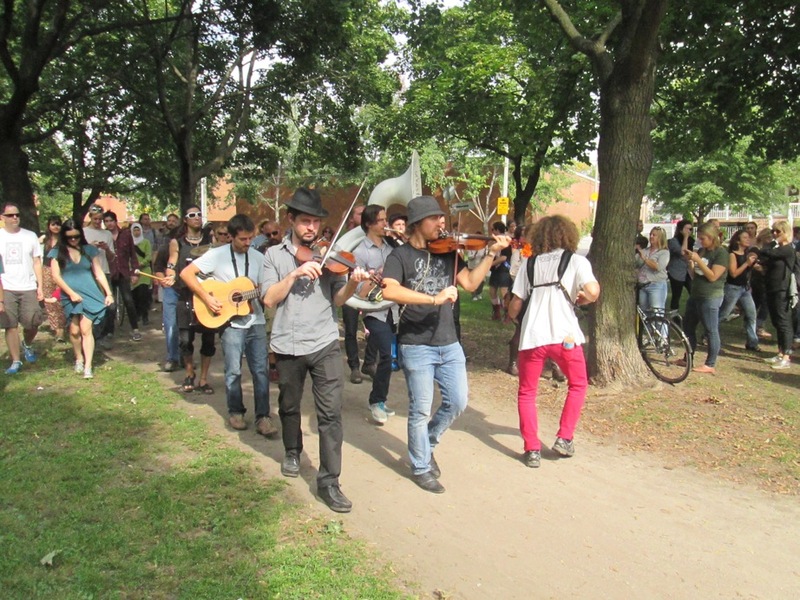 Participants led by the Lemon Bucket Orkestra made their way to Fred Hamilton Park from Christie Pits following the route of Garrison Creek. Rhea and Bob set up a FORRP tent and table and greeted visitors to the park. 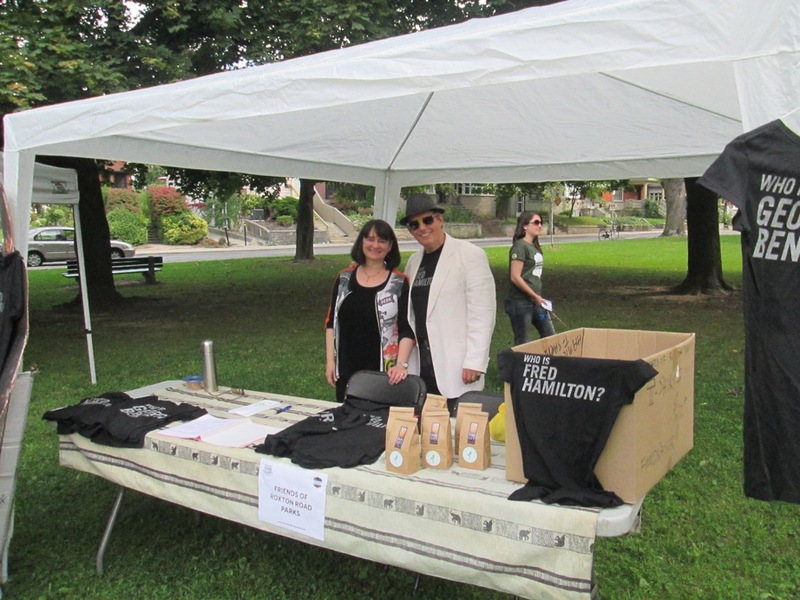 We sold 3 of our “Who is Fred Hamilton” T-shirts and 10 bags of “Fred’s Favourite Blend” of coffee (thanks Rene), gave out brochures, and talked to people about the many ways they could become involved in FORRP activities. Councillor Mike Layton joined the celebration and we thank him for his ongoing support of FORRP events. 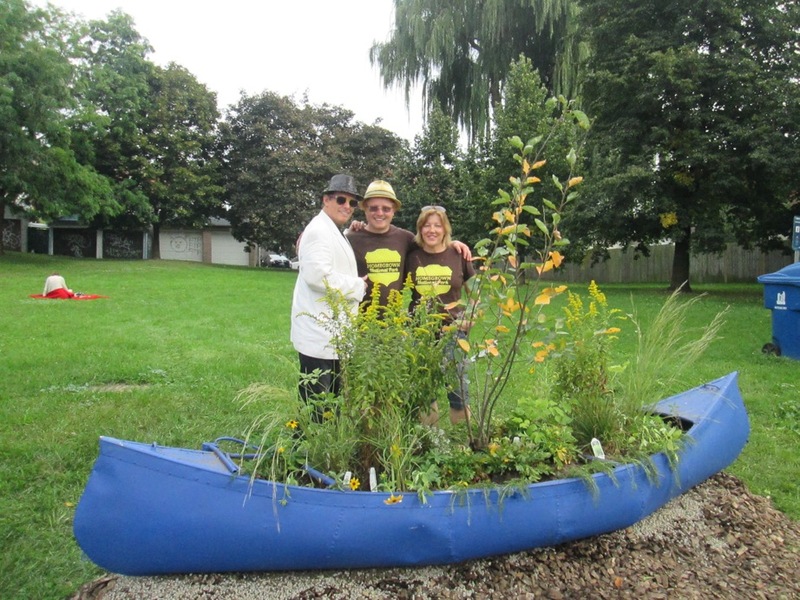 A canoe planting took place in Roxton Road Park. Aidan and his fellow park rangers are to be congratulated on this wonderful event that has given the park a fantastic new image. Special thanks to the David Suzuki Foundation, the Park Rangers, the food vendors,the various community groups, and the many volunteers who made the Park Crawl such a fantastic event. ← September 18th meeting agenda update!